Unstereotypically tall for a winger and with a left foot of mesmerising ball control, Jimmy Robertson was a match winning Queens player in two successful promotion campaigns. Robertson made 400 first team appearances for Queens at a time that is now something of a bygone age; the new wave of professionalism that swept through Scottish football reached Palmerston just after the end of Robertson’s career. 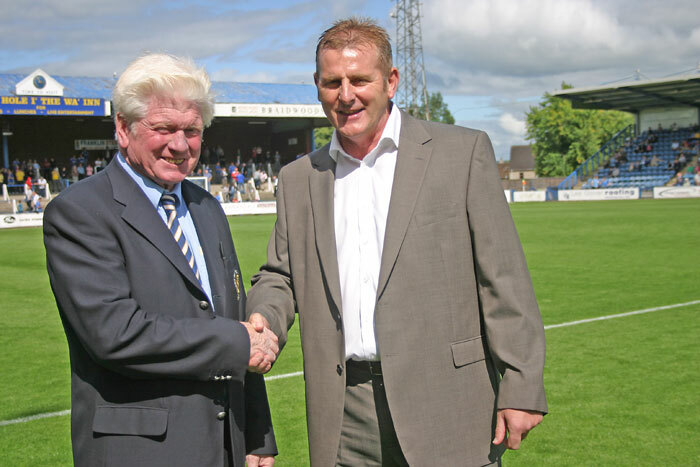 Outgoing, extrovert, uncontrollably talkative and raucously fun loving, thanks to an interview in May 2009, this is the gospel according to JR.
There’s the team spirit that turned it around at Forfar. The season after produced Robertson’s personal favourite Queens game. 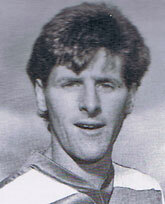 After becoming one of the few players in Scotland to be the subject of a transfer tribunal, Robertson then played for Morton before taking a circuitous route back to Palmerston. This was followed by a season that started with some promise only to end in major disappointment. Then came a manager of unquenchable optimism and a tale that has gone down not only in Palmerston but in Scottish football folklore as a whole. Still game after all these years. In his time at Queens Jimmy Robertson made 400 first team appearances - seventh highest in the club’s history. He won two promotions with Queens and was voted divisional player of the year. With 77 league goals and 89 in total he is joint tenth in the scoring chart with Ian Reid (as at 3 November 2017). To many Queens fans though, JR will simply be remembered for the number of times he glided past a befuddled right back before swinging in another pin point left foot cross.